Bella is Karen’s best friend after reaching top dog show Crufts. An awesome pawesome pair are set to show off their obedience routine at Crufts. 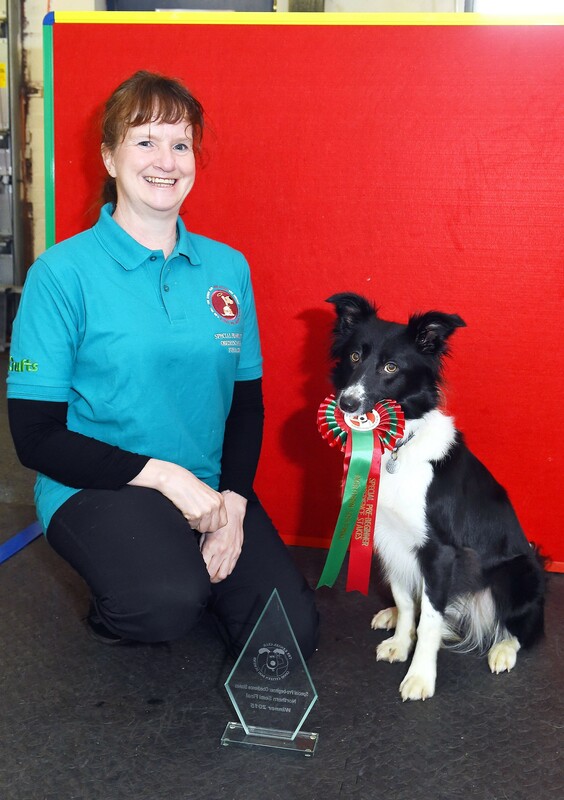 Karen Pearson and her Border Collie Bella, who train at Pawesome Dog Training, Cleator Moor, have qualified for the Special Pre Beginner Obedience Stakes at the world’s largest dog show, the achievement comes after only one year of competing. Two year old Bella has been visiting Pawesome since she was a puppy. “I went out looking for a working sheep dog and top of the list was intelligence, Bella loves to learn,” said Karen. This year is the 125th anniversary of Crufts and it will take place Thursday, 10th March to Sunday, 13th March. Melanie will be there to support Karen and help out as dogs cannot be left unattended.